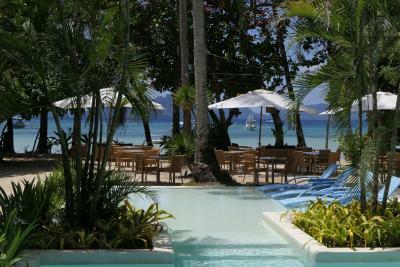 Featuring a garden and free WiFi, Mahogany Resort & Spa is located in El Nido. The property is around 1.6 miles from Big Lagoon El Nido, 1.6 miles from Small Lagoon El Nido and 1.6 miles from Matinloc Shrine. The property is a 5-minute walk from Corong Corong Beach and 1.3 miles from Marimegmeg Beach. The rooms in the resort are equipped with an electric tea pot. 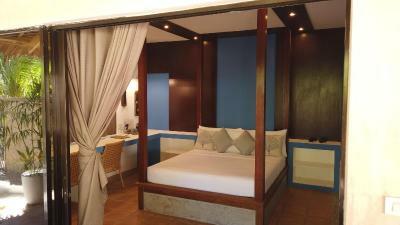 Mahogany Resort & Spa has certain rooms that include sea views, and every room has a private bathroom and a closet. 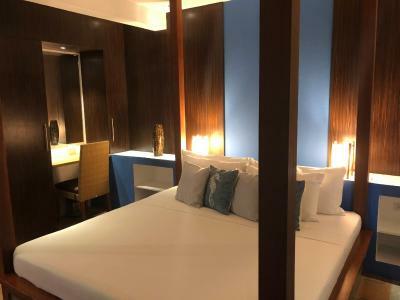 At the accommodation, all rooms have air conditioning and a flat-screen TV. 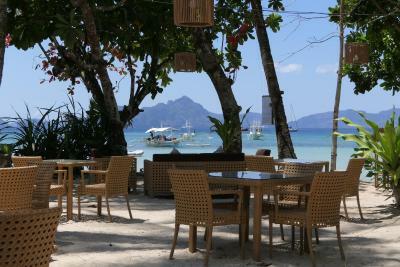 Paradise Beach is 1.5 miles from Mahogany Resort & Spa. When would you like to stay at Mahogany Resort & Spa? House Rules Mahogany Resort & Spa takes special requests – add in the next step! We need at least 5 reviews before we can calculate a review score. If you book and review your stay, you can help Mahogany Resort & Spa meet this goal.